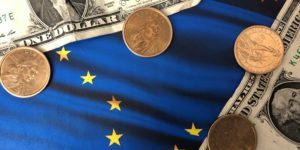 D-Day is scheduled for today in the Alaska Legislature (though it should be noted that D-Day in World War II was postponed several times for bad weather before the Allies finally landed at Normandy). 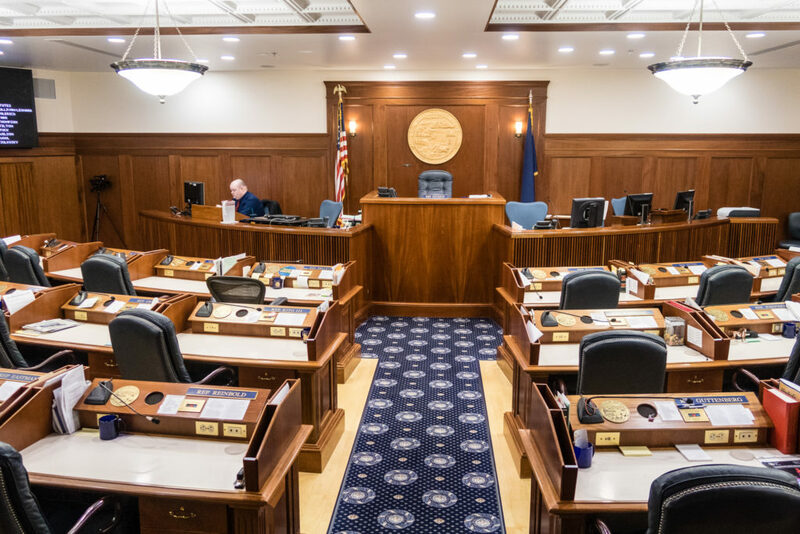 Today, all sixty Alaska legislators will be sworn in to begin the 31st Alaska Legislature. This afternoon, all forty legislators in the house, and all twenty legislators in the senate, are equal. But all of that changes immediately after the first vote. With the way the legislature is currently structured, the move to concentrate and consolidate power begins immediately following the election of a Speaker of the House and a Senate President. Whichever legislator is elected Speaker of the House will literally speak for the house in negotiations with governor and the senate. Likewise, whichever legislator is elected Senate President will speak for the senate in those negotiations. Today’s election is also unique for another reason. 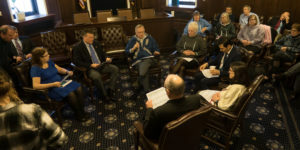 Once every ten years, the Alaska House of Representatives will choose one member to serve on the Alaska Redistricting Board. The Speaker of the House will choose that person. Likewise, once every ten years, the senate has the opportunity to select one member to the board chosen by the Senate President. Because the concentration of power is immediate in the legislature, the first vote a legislator takes is one of the most important. In Congress, Nancy Pelosi serves as Speaker of the House. As Speaker, if the president and vice president were to become incapacitated, Pelosi would become President of the United States. While Alaska’s Speaker of the House is not in line to become governor under state law, like Pelosi, that person will wield tremendous power. For that reason, much of the negotiations among legislators between Election Day and the first day of the legislative session centers around who will be elected speaker and whom they will appoint to other positions of power once elected. In other words, “let’s talk about power first, and then we can talk about policy issues further down the road.” I’ve always thought this was a bit fascinating, that power is a legislator’s bread and butter every day of the year, but policy only gradually moves to the top the closer one gets to Election Day. This is not true for all legislators of course, but the exceptions are exactly that—exceptions. From the outset, those in power in the legislature work feverishly to concentrate that power to the greatest extent possible. If twenty legislators would pledge from the first day of session to support any position the Speaker of the House takes, that would be Utopia for the Speaker of the House. At that point, the Speaker could call all the shots, the only exception being those rare votes like constitutional amendments which require more than a simple majority of 21 votes. Legislators would balk of course at being asked to have all of their votes taken for granted, relegating them to political irrelevancy for the entirety of their two-year term. That type of Utopia would never happen for a speaker. And yet, it doesn’t stop those in power from asking individual legislators to make similar commitments in exchange for power and other perks. In the initial push to consolidate power, it is surprising just how far some legislators are willing to go. As we saw with Obamacare, Pelosi was able to amass a majority of votes before anyone had time to actually read the bill and know what was in it. 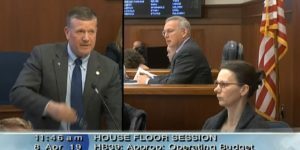 Whether in Juneau or in Washington, a speaker would love to simply have other legislators pledge to support their votes in advance without asking questions. If the speaker can’t get legislators to commit to voting with them all of them time, they oftentimes still push for legislators to commit to voting with them most of the time, or on the most important votes. If a significant number of legislators are willing to go along with this, those who balk first can be threatened with falling out of favor with the speaker, can have one of those chairmanships or committee assignments taken away, can be sent to a smaller office, can lose staff from their office, and can be forced to watch as those staffers are given to more cooperative legislators. When you hear the word “caucus” just think about those in the speaker’s good graces. To fall out of the caucus is to fall out of favor with the speaker and those currently supporting the speaker. Said another way, the speaker determines the in-crowd. As we saw again this past year, if a majority of legislators are willing to go along with it, a legislator can be formally sanctioned just for voting the wrong way on a bill. In the end, it’s whatever the people tolerate. Power tends to corrupt and it also tends to become concentrated. 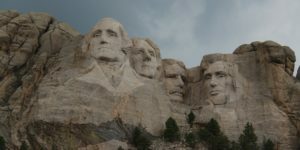 In the American political system, that corruption and consolidation will continue right up to the very limits of what politicians perceive the people can tolerate. If politicians think they can take the PFD and get away with it, they will. You can bet on it. The pressures in Juneau all push in that direction. If they only think the people will tolerate taking half of the PFD, with a slightly larger PFD just before Election Day, you can be very sure that that is exactly what is gonna happen. Sometimes politicians get it wrong, misjudge what they can get away with and suffer the consequences on Election Day, but more often they walk out as close to the edge of the cliff as they think they can get away with. The political incentives lead right to the cliff’s edge—every time. The same is true with the concentration of power. If politicians think the people will tolerate them handing over their votes to support those who hold power in the legislature (or asking others legislators to turn over their votes if they are the ones in power), you can bet with very little risk that most legislators will do so. Power abhors a vacuum. It also abhors dilution. It wants to concentrate, and will always be pulling in that direction until it is absolutely as concentrated as the people will tolerate. The smaller the legislative majority, the more highly concentrated the power. Think of taking all of the power of 40 legislators and consolidating it into the fewest number of hands possible. This is what Republican and Democrat legislators work to do in the days and weeks leading up to the first vote. If twenty-one legislators come together to do so, those twenty-one will each end up chairing a committee and holding other positions of power. In fact, with a coalition of only twenty-one legislators, some of them will likely have to hold two chairmanships simply owing to the number of committees and subcommittees in the house. To the very limit of what the people will tolerate, it won’t be about policy this week, it will be about power. Eventually we’ll get around to policy, but today is about power.